Two years on from Your Wilderness and with a compelling live set from the album tour behind them, The Pineapple Thief return on a high with a striking new piece of work which cements their position as leading indie progressive torchbearers. Having said that, You could sense Dissolution coming. It’s the album that was promised by Your Wilderness (and to a lesser extent, 2014’s more restrained Magnolia) and one that delivers in spades. The missing piece of the puzzle? The inspiration that’s raised the bar? Two words – Gavin Harrison. Having joined the party late in the day for Your Wilderness but finding himself on board for the tour and from the inception of the new album, his contribution is a significant one. A foil for Bruce Soord in terms of writing, arranging, challenging and inspiring; and then with his contribution on the engineering front, Dissolution sees the team technically and artistically pushing the boundaries. Bruce Soord himself has admitted , “The Pineapple Thief is a different proposition with Gavin.” Don’t get the impression though that The Pineapple Thief is a one man team – there’s no ‘I’ in team after all – as the duo combine to tease out a meaty and deep resonance that owes more than a nod to the contributions of Jon Sykes and Steve Kitsch who you’d be embarrassed to simply call a rhythm section. Offering contemporary lyrical themes that take up the disintegration of relationships and the undoing of our social fabric; the idea of being more connected than ever yet in the same breath, finding that those connections often result in the breakdown of physical interaction, Bizarrely, the album was made remotely in their own individual studios, the resulting creation as a band even when so far removed from each other being a testament to modern technology. Musically, Not Naming Any Names is an understated piano based tease of an opener that only heightens the tension that comes with Try As I Might that positively swings at times with the Harrison touch. And a thick and meaty bass depth. “My head is caving in” Soord agonises while demonstrating he’s learned a trick or two from progressive music (note how we didn’t say progressive rock?) leading light Steven Wilson, toting the more immediate and less sprawling arrangements. However, there are enough exhilarating moments (the searing guitar in Uncovering Your Tracks and the breakout from the intimate acoustic opening of Shed A Light into something more intense) to excite those not easily pleased. White Mist in an extended format, what Harrison has called “three songs in one.” Throbbing with an underlying electronic pulse, it may be a piece that divide fans for whom longer is better and true to the progressive philosophy. Yet it’s one that lacks the immediacy and impact of the rest of the album whilst reinforcing the “you were never in control of this/when did you lose control?” album theme. Although allowing the band to stretch, the jury may be out on this one. 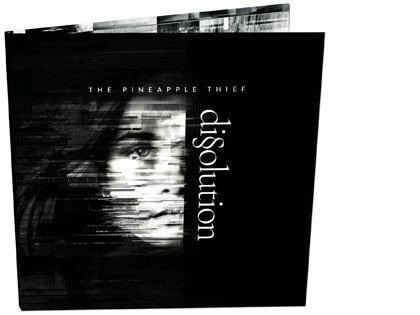 Nit picking maybe as The Pineapple Thief seem to have found themselves channelling a rich vein of form to deliver an album that encapsulates their career so far.